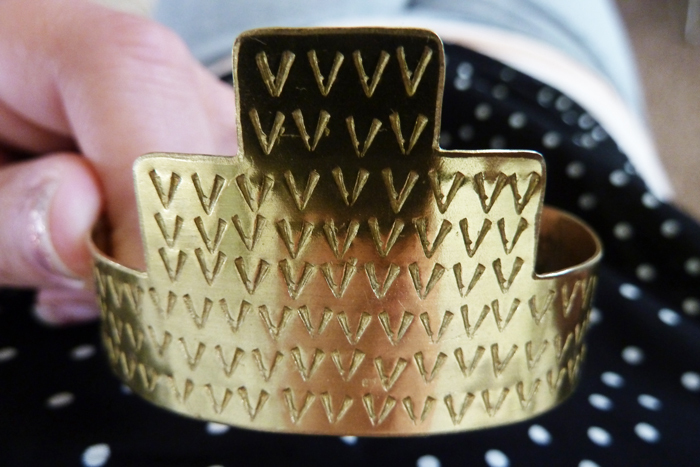 Look at this beautiful brass cuff! Christine from Young Frankk sent it to me, you might also notice she's a new sponsor of AMM, and I am in love! It's actually very smooth and comfortable and I have to refrain from wearing it every single day because I love it that much. 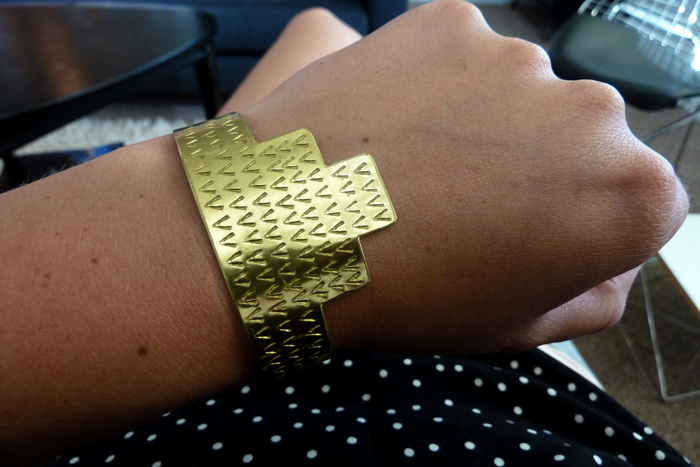 Bonus, Christine is really sweet and and a lot more beautiful jewelry to be had!